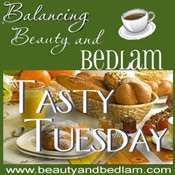 Serenity Now: Tasty Tuesday: The Cookies Were Brought to You By the Letter "A"
Tasty Tuesday: The Cookies Were Brought to You By the Letter "A"
Today's post has two parts: a recipe and a makeover of sorts. Hope you enjoy! last year for her 3rd Sesame Street themed birthday party. 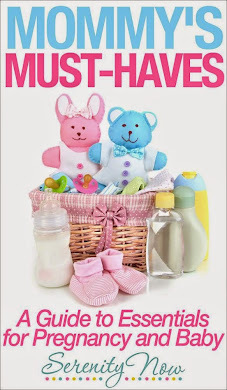 We haven't made any recipes from it yet, but it is highly fascinating literature for Michaela Byrd, who is 18 months old. She constantly wants me to "read" the cookbook to her. 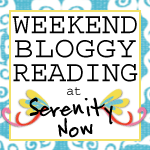 So we sit and thumb through cookie recipes and point out the different characters. It's such stimulating subject matter that I often run the other direction when I see her toddling towards me dragging the book with her. I knew I wanted to make something yummy for my brother Jamie, and his wife, SuSu (that's what my girls call her) as a housewarming gift. They just moved into their first home last weekend. 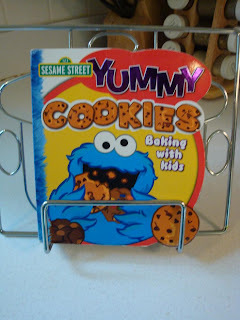 When we came across today's recipe in the Sesame Street cookbook, I knew I had all the ingredients, so I decided to give it a go. As you can see, I had two helpers. Preheat oven to 375 degrees F. Lightly grease a 9 inch square baking pan. Combine flour, baking soda, and salt in a small bowl. Beat sugar and butter in large bowl with an electric mixer until creamy. Add egg, water, and vanilla; beat until blended. Stir in flour mixture and oats. Mix well. Stir in 1/2 cup chocolate chunks. Spread dough in pan with rubber spatula. Sprinkle remaining chocolate chunks on top. Bake for about 30 minutes or until center feels firm. Transfer pan to a wire rack to cool completely. Cookie Monster seemed to enjoy them. I think they looked mouth watering! But they needed something special to be delivered in. This was the fun part! 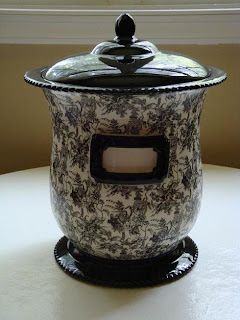 After seeing the new house, I remembered a fabulous cookie jar from Salvation Army that would coordinate with SuSu's kitchen perfectly. (Side note: I would never, EVER try to pass off a SA purchase as a new gift. I totally told them where I found this treasure) It's one of the most expensive SA purchases I've ever made, but completely worth it. Some day soon, I'll post pictures of her kitchen drapes so you can see how well they go together! Isn't it gorgeous?! The problem? It had several small chips. No worries! 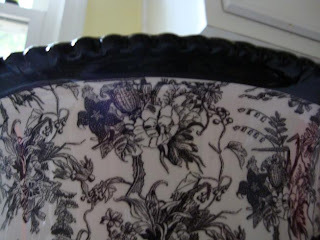 I grabbed my black fabric paint, which has worked wonders on several non-fabric projects in my home. Can you see where I made repairs? I can't! Here it is in all it's glory. I added a little notecard with their last initial on it, even though it didn't fit very well. SuSu was surprised and excited (I think). As you can see, they're still busy unpacking. She let Michaela Byrd have a chocolate chip (since Mommy said that would be enough so close to bedtime). Uncle Jamie was more excited about the delicious treat inside than the fabulous, gorgeous Salvation Army find I brought him. Typical guy. At least they'll be devoured! what a serendipitous discovery at SA!!!! Wahoo...gotta love it! Thanks for sharing the yummy recipe! The cookies look terrific, and I love the jar, too! What a pretty housewarming gift! & Seriously... Amanda, Trey couldn't do some VERY important things(in my book...and yours, don't lie! )Yes, let's all pray there are none of THOSE problems! :) He just texted me first thing with, "Good Morning, Ms. Willis" Ahh, how sweet? Now I know I'm on his mind at 9am & it makes me all gushy! Those look AMAZING!!! Too bad I'm on a diet. That's awesome that cookie monster helped you bake them! You had like a celebrity chef in your kitchen! AND an adorable assistant to boot! LOVE the SA find...it really is beautiful. Now I'm going to have to go get some fabric paint and see what I can do with it! These look yummy! I love the cookie jar. My grandma used to always give us gifts from "the SA" when we were kids - and pass them off as new, lol :) Hey, it's the thought that counts, right? 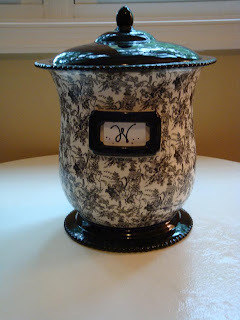 I just love that cookie jar! Great find! Those bars look yummy! And what a sweet memory you made! I can't believe you found it at SA - its so cute!